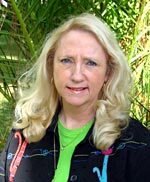 COLUMBIA COUNTY/LAKE CITY, FL – On March 16, 2017, FSU's Florida Institute of Government's Diane Scholz, a recognized expert in rural economic development grants and grant writing, wrote to the Lake City City Clerk complaining of "unprofessional and inappropriate behavior" by City Manager Wendell Johnson." During the July 17 City Council meeting, it was revealed that the City had received the complaint and hired a private law firm to do an investigation. During the past three years, generally concurrent with the hiring of County Economic Development Director Glenn Hunter in May 2014, retail development along the US 90 I-75 corridor has blossomed in Lake City, while industrial development has stagnated. Lake City/Columbia County has become a Mecca of low skill non living wage jobs with the only bright spot in the high skill living wage market being the increased aircraft volume of HAECO at the Lake City airport. Two people, through FSU, have been involved in obtaining extraordinary grant money to make improvements at HAECO, Jeff Hendry and Diane Scholz who, even among their detractors, are recognized as experts in the grant writing and acquisition process. Columbia County/Lake City, along with other places in America, is reeling due to a lack of workforce development. HAECO has been particularly hard hit as increased business has caused it to hire more and more outside contractors or send repair contracts and jobs to its other facilities outside of Florida. 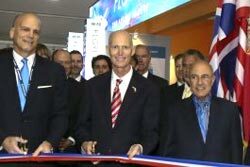 The upgrading and funding of HAECO's Lake City facilities came to the forefront with the announcement by Governor Scott at the July 2016 Farnborough – London Air show that HAECO was creating over 400 jobs at its Lake City facility. HAECO was in dire need of infrastructure improvements at its Lake City facility to accommodate the new and larger planes and an expanding workforce. As was pointed out in her March 16, 2017 correspondence to Lake City, beginning in August 2016, one month after the Governor's announcement, Ms. Scholz had been assisting "in discussions about infrastructure improvements at HAECO Americas at the Lake City Gateway Airport." Ms. Scholz continued, explaining the need to develop a strategy after the Governor's announcement. She wrote: "To develop a strategy for making the necessary improvements, Mr. Johnson, stakeholders, others and I have been participating in numerous conversations and meetings in recent months. In my opinion, as Mr. Johnson has increasingly been in opposition to what stakeholders were recommending and in favor of bonding, his behavior towards me and others has become unprofessional, inappropriate and violent." City Manager Johnson has a reputation for being short-tempered, difficult to get along with, single minded, and insulting. After taking over the reins of the City in 2008, he brought the City's finances under control. Long time City Councilman George Ward, while recognizing Mr. Johnson's shortcomings, has stated that he thought Mr. Johnson was the best City Manger that Lake City ever had. • Mr. Johnson walked into a meeting and called her a "Hillbilly Girl." • During a meeting with County Econ Dev Dir Glenn Hunter and City Councilman Ward, "Mr. Johnson burst in shaking, stuttering and red-faced ... began yelling and screaming at Mr. Hunter and me, accusing us of going over his head and speaking with his boss and blaming him [Hunter] for things being a mess..."
• On February 1, 2017, Ms. Scholz came to City Hall for a meeting, where she reported that Mr. Johnson said, "...he had held out an olive branch to Mr. Hunter regarding his tirade and he hoped I would forgive him." Ms. Scholz continued, "Mr. Johnson presented his idea about bonds as an alternative to a grant and kept asking my opinion... It felt like he was trying to bully me into saying something he could attack. I repeatedly told him I could not speak on behalf of the company or the county... he kept pushing me to say something... He finally stated, "I've known you a long time and I can tell you have something on your mind!" Then he referred to himself and I as "old dogs" and I told him, "Speak for yourself!" • On March 8, 2017 Ms. Scholz was in Lake City at the County Econ Dev Offices to attend a meeting with Jeff Hendry and others regarding issues at HAECO. Ms. Scholz reported that Mr. Johnson came over to shake her hand, "but instead he grasped my right hand and twisted it as hard as he could... I was in pain, speechless and stunned by his action... Later, after the meeting ended, I told Councilman Ward about Mr. Johnson calling me names, yelling and screaming at me and injuring my hand. I told Councilman Ward that I intended on filing a complaint and he replied, "You should file a complaint." • Ms. Scholz went on to write that her hand swelled through the night and she went to the emergency room the next day. FSU's Department of Environmental Health & Safety was notified about her injury and on March 14 she went to see her family physician because issues with her hand continued. • Ms. Scholz reported that her family physician "stated that it was more than a sprained wrist and that there is trauma to all of the fingers, the wrist and to a tendon stretching up my forearm... there may be nerve damage which might require a plastic surgeon to correct." Finally, her doctor told her she "needed to give the hand a few weeks before a decision could be made." "I'm not sending this letter because I seek compensation, but because I believe the City Council needs to be aware of the conduct of its City Manager. Because of Mr. Johnson's violent behavior, I am requesting the City Council issue an official reprimand against Mr. Johnson, to place it on the next available city council agenda for reading at the meeting and for the reprimand to go into Mr. Johnson's personnel file. If you have any questions, you may contact me at dscholz@fsu.edu." According to the law firm of Allen, Norton, & Blue, on March 21, 2017, City Attorney Fred Koberlein recommended the City hire the law firm of Allen, Norton, and Blue (ANB) to do an investigation and make recommendations. ANB claims that, because the complaint was against the City Manager, they were hired "to avoid any conflict of interest." ANB did not claim that it could or would be impartial. The City is paying the law firm. This is the same law firm that has been representing Columbia County in its sometimes contentious Human Resource (HR) issues and is the same law firm that was responsible for the care and custody of what has become known as the Kirby File, a file of reports concerning HR investigations of Columbia County's Director of Public Works, Kevin Kirby. This file has disappeared, or been disappeared. ANB has claimed that is has not been able to locate the Kirby File. Part II will report on ANB's investigation for the City.